This morning, I awoke to an individual on Twitter letting me know, in no uncertain terms, that bitcoin and social issues were unrelated. Since literally everything is related to everything else in some way, I’ll assume what he meant is that bitcoin and social issues are particularly far apart in terms of overlap.This is of course absurd. While “social issues” is a term which needs to be defined prior to further discussion, the “social issues” that particularly interest me are issues of poverty, class, mobility, equality of opportunity and access to resources.Access to banking and creditCredit is one of humankind’s most important innovations. The introduction and mainstreaming of lending at a profit is directly responsible for untold wealth creation and innovation. However, currently, access to credit is anything but evenly distributed.Bitcoin addresses this inequity in two ways. First, it offers banking to millions who otherwise are not able to access traditional banking services. In America alone, up to a third of the population is unbanked or underbanked. Regulations and risk combine to ensure that offering services to certain segments of the population is unprofitable. Bitcoin vastly decreases the cost and risk of extending those services to people with low-incomes and poor credit scores.Second, the Bitcoin protocol offers the promise of Smart Contracts. By creating and enforcing contracts through the blockchain instead of the state, people who currently don’t have access to credit will be able to enjoy vehicles, places to live, and other necessities, allowing entrance into the middle class.Remittances and fighting oppressive regimesThe ability to transfer money globally is a very powerful tool in the fight against poverty. Currently, the process is extremely slow and expensive. Bitcoin offers instant, nearly-free overseas remittances.In addition, bitcoin offers an escape hatch to people trapped under oppressive regimes. 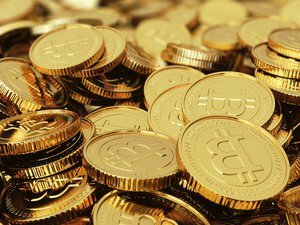 For example, the price of bitcoin spiked when people began moving their money from bank accounts to bitcoin in Cyprus after the government announced plans to seize cash from the country’s bank accounts.CharityThe subreddit /r/Bitcoin makes up the vast majority of funding for Florida’s most effective and innovative homeless shelter, Sean's Outpost, whose operating budget is almost entirely made up of bitcoin donations by reddit users. In addition, the BitGive Foundation exists to harness bitcoin’s tremendous power to innovate the way we tackle charitable giving.Bitcoin is no panacea. A term like social issues is clearly meant to encompass a huge swath of legitimate concerns, some of which are more closely related to bitcoin than others. However, the idea that bitcoin and cryptocurrency is somehow unrelated to the social would have to rest upon the contention that concerns like access to credit, global poverty and oppressive regimes are not social issues. On the contrary, there is nothing more social than a voluntarily transaction. And giving more people worldwide access to mutually beneficial exchange is one of the most important social issues a system could take on.